COG 22 is here, but it's singular. "Collection of Game." The last time we had a Collection of Game, it also featured Sky Blue and Washington, way back in June. It was awesome #Fakenews. So we've got one game to watch. Who, exactly will be starting for the Washington Spirit and Sky Blue FC? The options are even more limited than last time. Let's take a look. What Happened in COG 21? 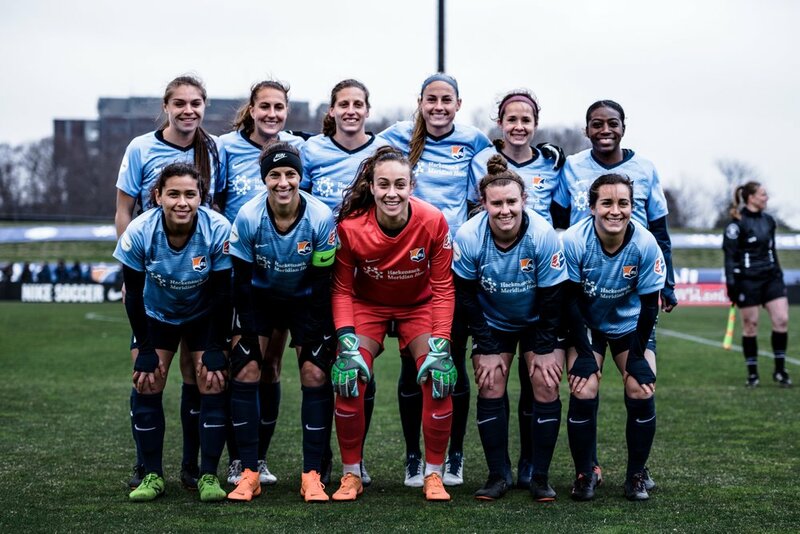 Sky Blue will start their final three matches of the 2018 season in Maryland, and this might be their last hope to get a win—any win—anytime this year. They've got some roster problems, but not nearly as bad as their hosts, so it's their match to lose. They'll fight and they'll play tough and every living human, Spirit fan or not, should be hoping they can win. The women on this team deserve better than the conditions they play in, and they certainly deserve at least one win for their hard work. Oh, no, that's not tonight's XI. Not even close. Most of those women aren't within an 4-hour flight of Maryland today. Stott is injured, and Dorsey, Johnson, Lloyd, McCaskill and Rodriguez are all away on international duty. However, Sky Blue can deploy a starting XI of women with names you'll recognize, which may be more than can be said for the Spirit. How about: Kailen Sheridan in goal, with Skroski, Frisbie, Richardson and Freeman across the back? Sounds reasonable. In midfield, Tiernan, Killion, Gibbons and Hoy are all ready to feed Shea Groom and McKenzie Meehan up top. (Meehan is questionable, but when the question is, "Do you want to start?" the answer is, "YES, ALWAYS!" Washington signed SIX players as National Team replacements ON THURSDAY. So, they're ready, obviously. Players who will not be ready include: Huster, Weimer, Mathews, Wys and Johnson (all injured). AND Banini, Eubanks, Haracic, Hatch, Lavelle, Pugh, Quinn and Sullivan (all on international duty). Who is left? Well, there is a pretty badass leader ready to take the captain's armband tonight in Jo Lohman. Seriously, if you're not inspired by Lohman you need to do some soul searching. She'd probably offer to help, because she's got soul to spare. Today was the last day of @WashSpirit training for 2018. This season was challenging on many levels but my love for the club and its supporters never waivered. I am honored to wear the jersey tomorrow as we take on Sky Blue bc playing this game is a absolute GIFT. She'll have Solaun and Dougherty-Howard with her in midfield, with Dydasco, Church, Smith and Meg Crosson (one of those new faces) across the backline in front of Aubrey Bledsoe. Up top, it's Ship, Ordega and the recently returned Cali Farquharson. Probably. The other new arrivals from Thursday are Brenna Connell, Zoe Clark, Tiffany McCarty, Alexa Newfield and Morgan Ruhl. Neither side has a ton of subs available, and there is rain in the forecast. I can make a case for Lohman and Dogherty-Howard connecting with Ordega for some quality chances. But I can also see Amanda Frisbie bombing forward with purpose before picking out Shea Groom for some overdue Sky Blue scoring. Jen Hoy is also overdue and should find some space on the wing with Groom pinching inside. It's a SKY BLUE ROUT! Otherwise, they'll need to beat Orlando at home to close out the season next weekend, because the Red Stars aren't about to drop a game at home to the league's worst team on Tuesday. YES! FOUR GOALS! FOR THE LOVE OF ALL THAT IS HOLY! SKY BLUE WINS!